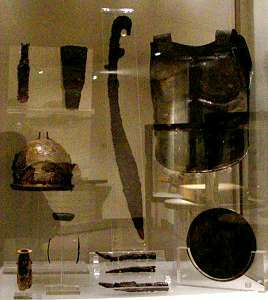 As museums are wont to do, the National museum placed this most interesting display in the darkest corner possible. 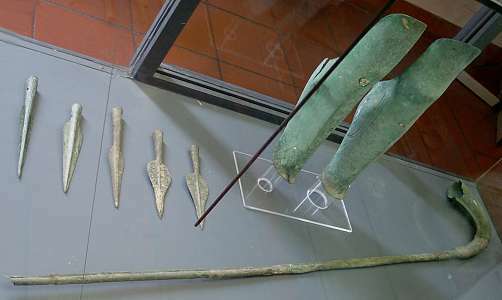 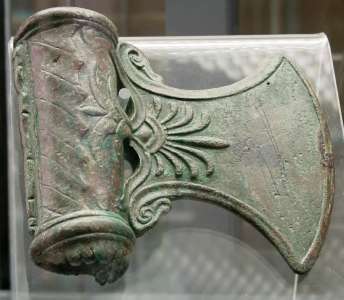 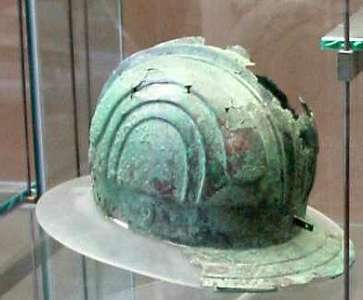 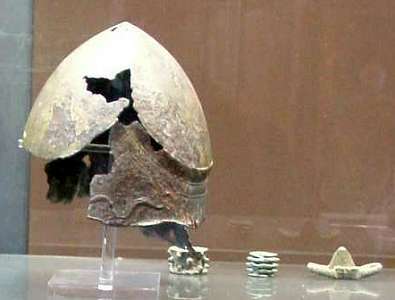 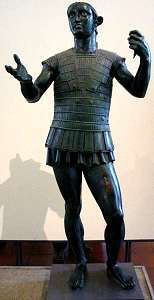 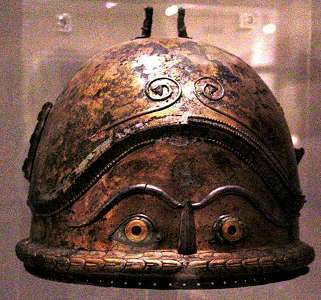 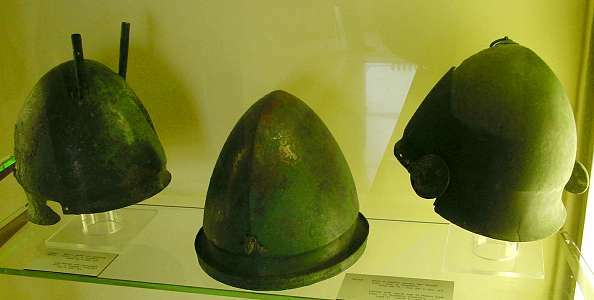 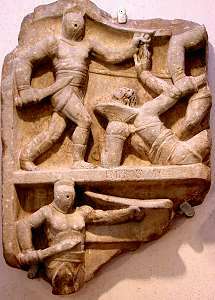 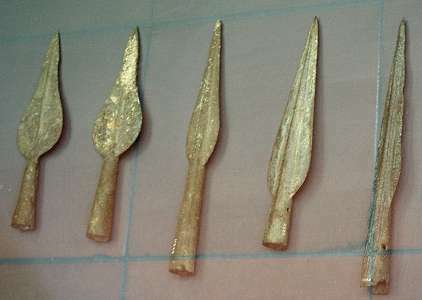 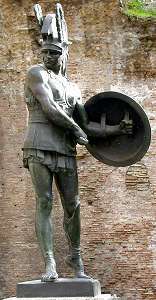 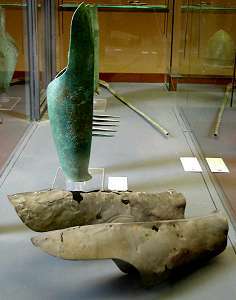 These are from the grave of an Etruscan warrior. 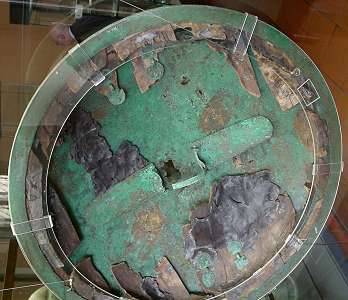 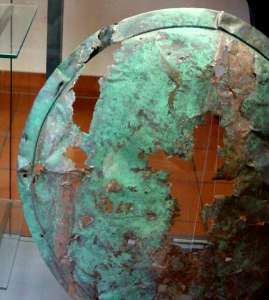 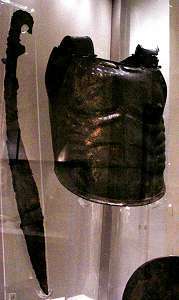 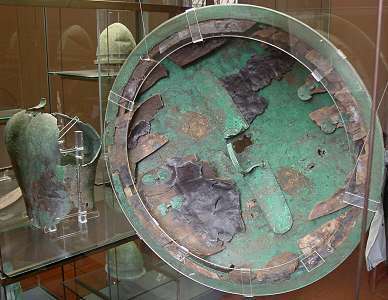 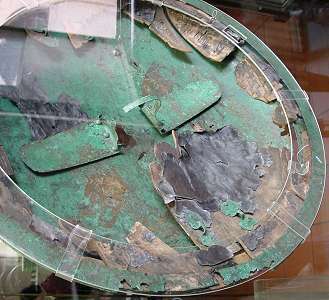 famous bronze-plated shield retaining parts of the wooden and leather core, and some of the fittings.